Knecht Ruprecht - OOAK Waldorf Dolls - Handgefertigte Stoffpuppen nach Art der Waldorfpuppe: Für Luise unsere liebe Kindergartenfreundin! 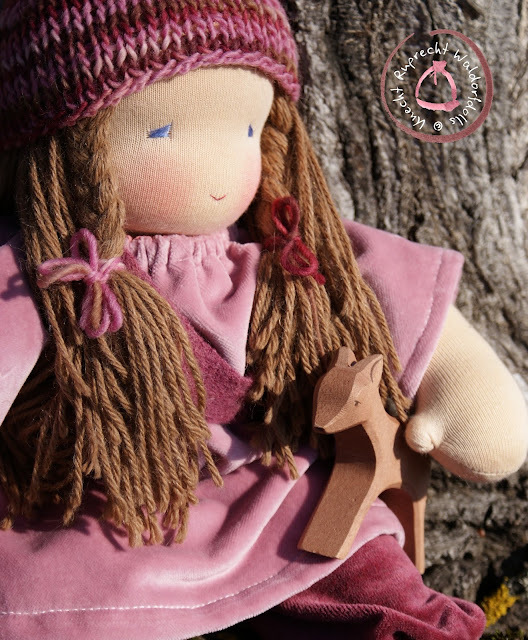 Für Luise unsere liebe Kindergartenfreundin! This doll is for Luise, my sons friend from his Waldorf Kindergarten Group. 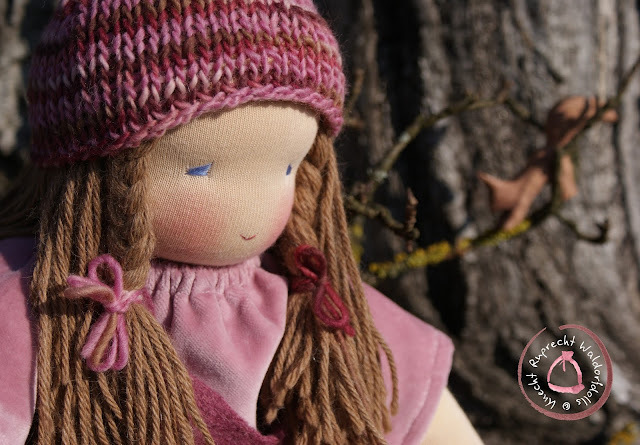 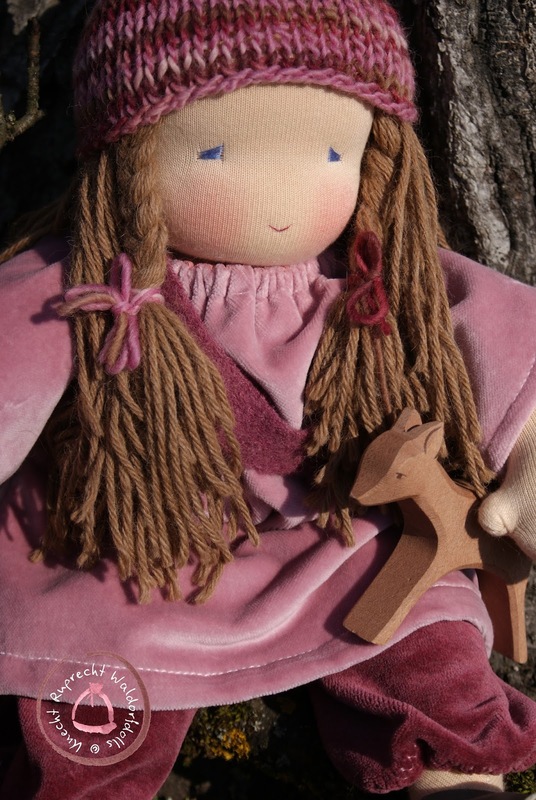 She is made of Marzipan Doll Skin and her hair is made of pure Alpaka Yarn. 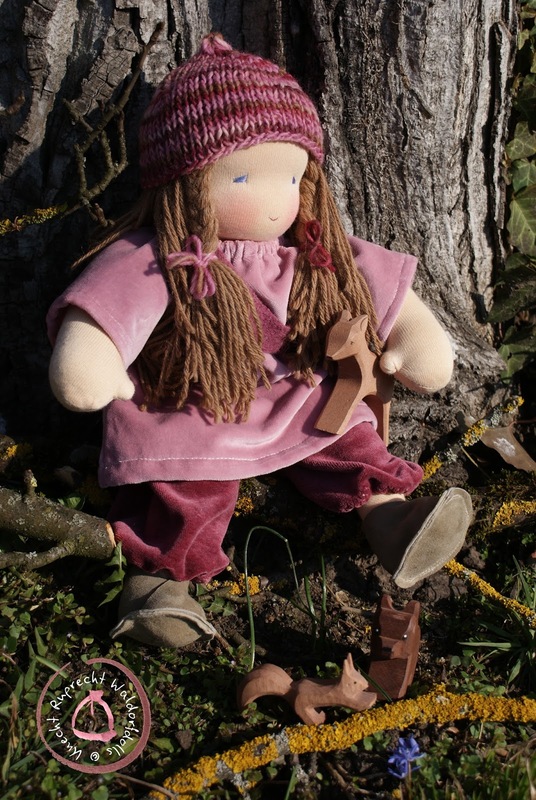 I got some soft and beautiful natural leather an thought it might be nice to make some leather shoes for this doll. 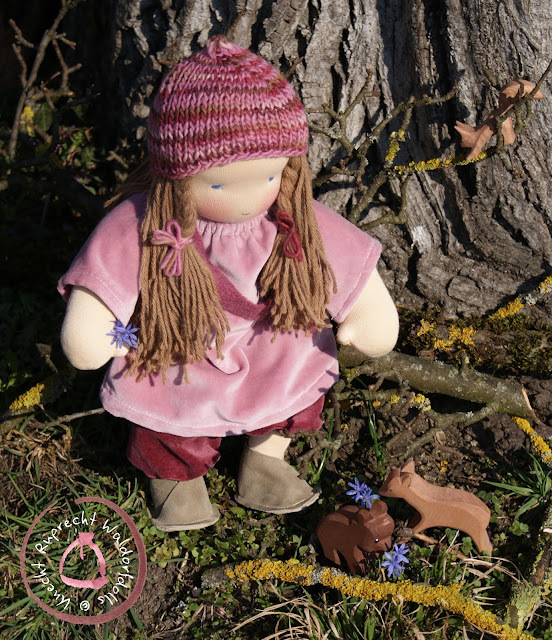 Normally I use wool felt for the dolls shoes, it was the first time I tried out leather and it worked very well with some new leather needles and my usual and long used Doll Shoe Pattern.